Pest management is the measures or systems designed to regulate, relocate, or terminate insects or animals considered harmful to human and the environment. Proper pest control can be difficult and time-consuming but is often a necessity, especially in commercial and residential areas. This service is an important consideration for every home and business owner in Northgate. Apart from saving money in the long-term the other reasons for this are discussed below. If you need help with pest management in Northgate get in contact with the our team of friendly, experienced and helpful staff right now. Simply fill in the contact form of give us a call on 1300 767 786. If you want to learn more about how and why control of insects and other animals is so important then please continue to read on. Each year in Australia millions of dollars are spent on repairing damaged caused by termite infestations. Termites vigorously consume wood and similar products such as plyboard and paper. Once they have burrowed through the wooden parts of a building, they can eat beams, flooring and walls from the inside. This makes the commercial or residential building’s structure weakened and vulnerable to collapse. Termite infestation can be especially problematic in older homes such as some of those in Northgate. In areas where termites are known to cause problems, managing a home or business to keep it safe from termites requires constant vigilance and ongoing assistance from a reliable agency. Pests cause a range of health problems in susceptible people. These include skin allergies, asthma, and other respiratory problems. Bed bugs and mosquitoes for example, are notorious for causing skin rashes. Pests can also carry certain allergens that can cause strong allergic reactions in some people. Cockroach populations, for example, cause allergies in around 7% of the population. They are also to blame for causing asthma in children. Leprosy, Lyme disease, intestinal infections, skin infections, dengue, malaria, urinary tract infections, dysentery, and food poisoning are just a few of the health problems that bacteria and pathogen infested pests can cause. They also carry a number of other viruses that can affect human and animal health. Many of these diseases are treatable, but prevention is better than a ton of cure! Many of these health concerns can cause serious health issues in children, the elderly and immune-compromised individuals, many of whom may require professional medical treatment or hospitalization is infected. It is estimated that in Australia tens of millions of dollars are wasted each year in medical bills caused by the spread of diseases by insects, rodents and other animals. COntrol methods should be utilised to save furniture, carpets and clothing and avoid the expenses associated with repairs and potential replacement. Burrowing insects are notorious for causing damage to the wooden and fabric components of furniture. Others, such as carpet bugs, moths, cockroaches, bookworms and silverfish are also attracted to fabric, and will use it as a source of food, causing often irreparable damage. Beyond residential and commercial pest control, there are other reasons why this service is vital for humanity. Our own food supply is critical to the survival the Australian population. This affects people in Northgate just as much as it affects people anywhere else in Australia. On a macro economic level, it also influences the world’s economies and supports majority of today’s active industries. Without pest management, over 20% of our food supply could be wasted due to consumption by rodents. Each year, hundreds of millions of dollars worth of food is lost due to rodent infestation. By controlling the threat, it is possible to keep food supplies at optimum levels. Implementing pest control measures can help prevent food waste and contamination. Pests do not only consume food, they also leave behind undesirable organic matter such as dead skin, body parts, feces and urine, all of which can affect the quality of the food we eat. We certainly don’t want that in our food supply and we’re sure you don’t either! 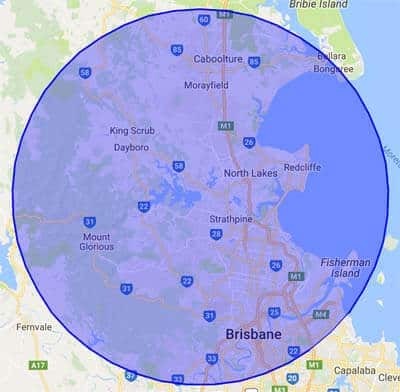 Now you know all about how important pest control is both in Northgate and Australia-wide. 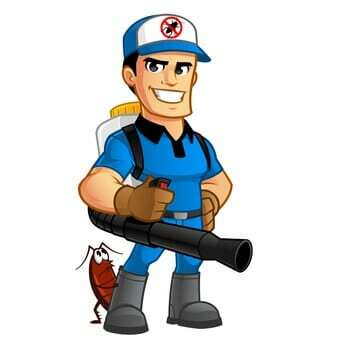 Isn’t it time you got in touch with a local, reliable and well-reputed pest management expert to ensure the safety of your home and family? Fill in our contact form above or give us a call immediately and find out how we can help you and the other people of our great Northgate community.